I used to think that if my home was clean, I was a good homemaker. Over the years, as I’ve reflected on my life and have recalled memories of growing up, I’ve come to the conclusion that it is not a clean house that defines good homemaking, but rather a warm, inviting place that is filled with love. As a matter of fact, I would prefer to get rid of the word good altogether and replace it with gentle. I don’t want to be a good homemaker, I want to be a gentle homemaker. I want to cultivate the art of “gentle homemaking,” which is the ability to be gentle and kind with ourselves in the process of making and keeping a home while being gentle and kind to those around us. It’s so easy to beat ourselves up as well as cast blame on those closest to us, isn’t it? We are quick to condemn ourselves and our efforts when things don’t work out the way we envisioned. And once we feel frustrated with ourselves, it’s a natural progression to accuse those around us. Our husbands and children can so easily get the brunt of our own feelings of inadequacy. I have often accused myself of being a homemaking failure. But you know, the only thing those condemning voices do is paralyze us from getting on with our lives, trusting God in our weaknesses, and moving forward in faith. When we can move forward without the condemnation of our sometimes-meager efforts, we can become better, gentler homemakers and lovers of others. Now as to the actual chaos and practical business of homemaking, I have found that loving others and creating peace happens when there is less mess. When I can’t walk from the bedroom door to my child’s bed without stepping on something, there is chaos. When I walk into the kitchen and it’s too messy to make a nutritious meal (who wants to cook in a mess? ), my family misses out on a good meal prepared by me. When I get up in the morning and can’t find something to wear because I didn’t do laundry again, I feel out of sorts and cranky. Or I’m late for an appointment because I have to search high and low for something I can throw on to make me presentable. The point is, when we have less chaos in the house (via a mess), we have less chaos in our souls, and when we have less chaos in our souls, we have more energy and capacity to love. How Does a Clean(ish) Home Love Others Well? Love can be (and usually is) very practical. When I make sure I have clothes for my kids to wear, I have loved them practically. When I can get into the kitchen and cook good meals, I have loved my family practically. When I can extend a spur-of-the-moment invitation to a friend who needs to talk, and the surroundings are inviting, I have loved her practically. If you struggle with keeping a clean home, I’d like to encourage you today. First, I get you. I consider myself to be domestically challenged. However, I believe it to be a worthy goal to make a home, a place where grace is sown in and love takes root. I wanted to encourage you in the lifegiving beauty of homemaking without the guilt involved. 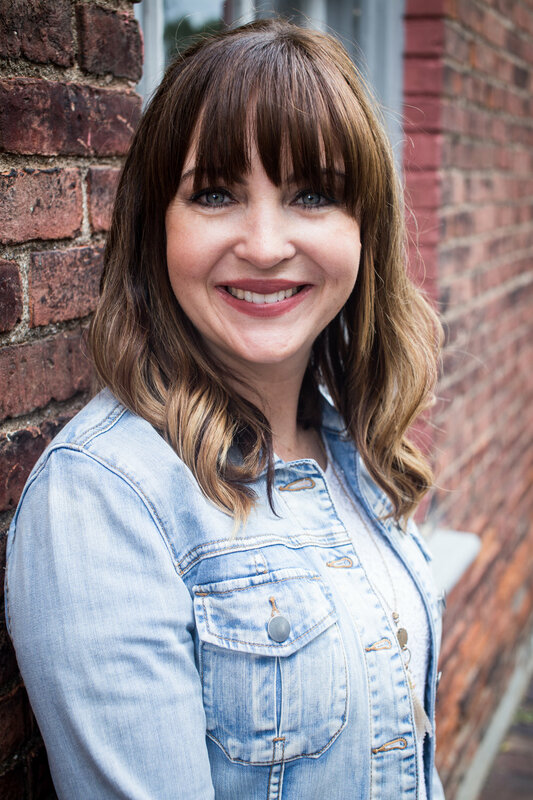 There are enough voices out there telling us to “just do it!” I am writing from the perspective of a woman who isn’t a natural cleaner, but who wants to persevere in the traditions of homemaking. I do not believe homemaking is a dying art; rather, it is a time-tested skill that when cultivated creates a womb-like environment where life is nourished. And so I wrote a book for you and for me and for all of us out there who want to do this beautiful, lifegiving work of making a home, but who will never be Martha Stewart types. At its heart, my new book Having a Martha Home the Mary Way is really about just that—the heart. It is about releasing any personal guilt and shame you are carrying and embracing the truth that your “good enough” has nothing to do with your cleaning abilities. Many of us need to hear that we don’t have to get it all together to be good and loving. Our worth begins when we find our identity in the One who says, “By a single offering he has perfected for all time those who are being sanctified” (Hebrews 10:14, ESV). I love the freedom that comes from knowing I am already—from eternity’s perspective—perfect and complete, for all time. I don’t have to do better or be better; I just need to walk faithfully with my God as He molds me. And so do you. You can keep and care for your home one step at a time, however imperfectly. You wear imperfect flesh, but you have a perfect soul if you know Him. The blood covers the ugly. If you struggle with maintaining your house, you get overwhelmed, and you wish you had a maid (I’m praying for one for you! ), don’t let those feelings define you or get you stuck. Give them to God and walk in His steps as He goes before you. I’m in this with you, and together, with Him and our hearts set on eternity, we can persevere! 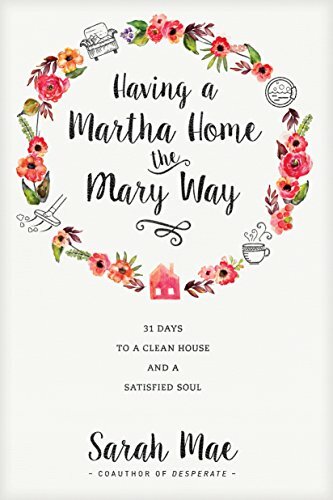 Check out my new book, Having a Martha Home the Mary Way: 31 Days to a Clean Home and a Satisfied Soul. And you can click HERE to download a free printable that I made just for you!